Do you ever come across a recipe and think “that looks so incredibly amazing I want to eat it all right now” and then you start reading the ingredients and kind of cringe at the mental calorie count? For instance, when you see a recipe by a certain Southern baroness of butter, do you automatically cast it aside? 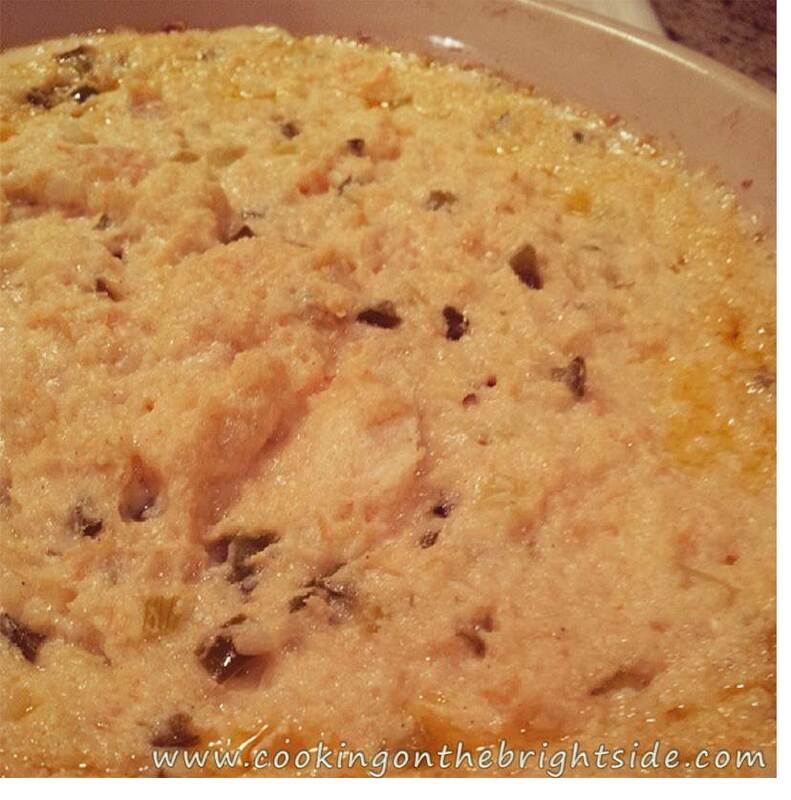 I often do – but recently, I found one I knew I could makeover into a tasty and lightened up dish! Y’all may have caught on to the fact that I LOVE appetizers and finger foods. I’m talking I get excited when I throw a party and have leftovers because I can make meals of fingers foods the next day or two. So last weekend during the golf tournament, it was time for a little shindig to kick off the festivities. I had come across this recipe and figured it was time to give it a try. I made a few adjustments – mainly reducing the fat content, but also adding a little flavor. I don’t like to toot my own horn or anything, but um, beep beep – cause this dip was delicious. I’m honestly wishing I had some in front of me right now. 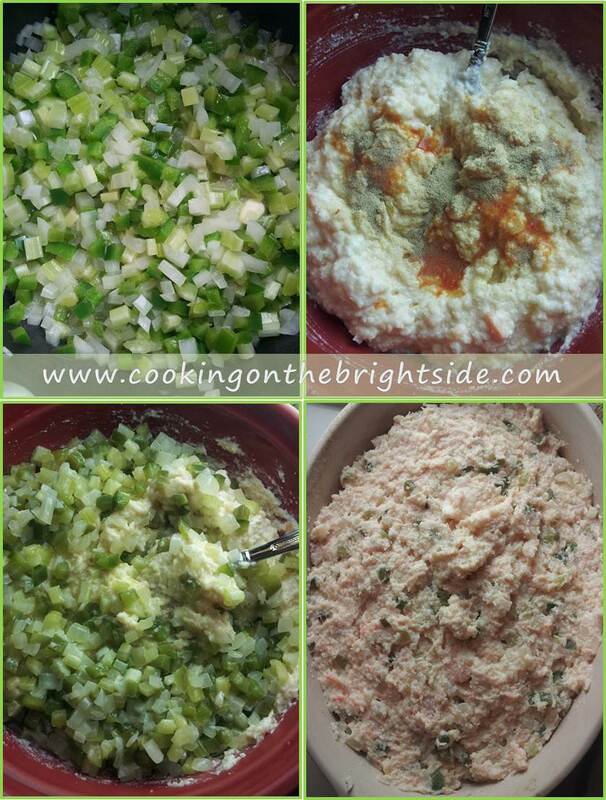 The best part about dips is that they don’t require assembly after they cook, and this one is great for cookouts or fancier meals – so I’m sure it would go perfectly with whatever meal you have planned for Father’s Day! I served it with some blue corn tortilla chips and original flavor Pretzel Crisps, and it disappeared rather quickly. 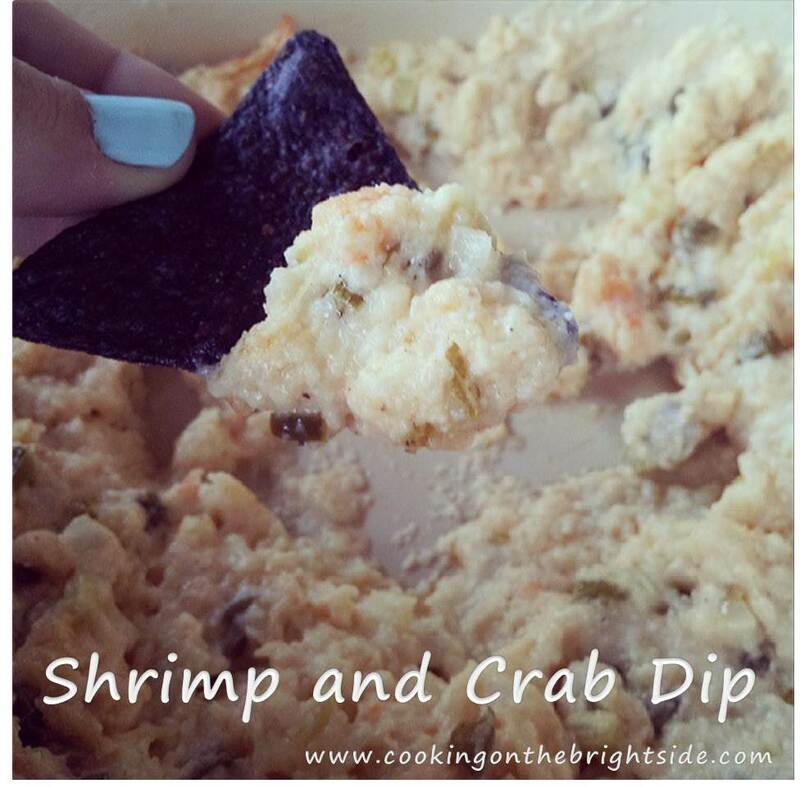 Original recipe “Shore is Good Seafood Dip” found here. In a large skillet, melt margarine over medium heat. Sauté bell pepper, onion and celery 5-7 minutes until softened. 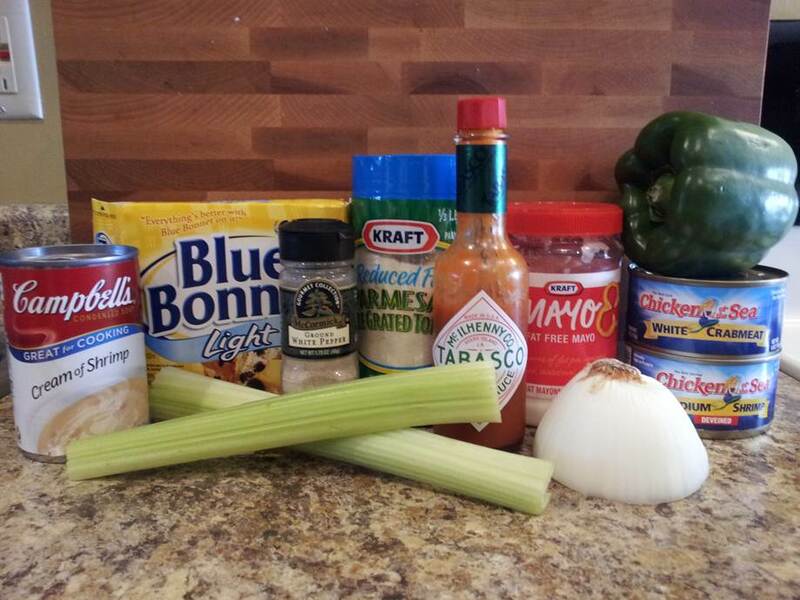 In a large bowl, mix together crab, shrimp, mayonnaise, Parmesan, pepper and Tabasco. Add sautéed vegetables and stir until ingredients are blended well. Pour mixture into a medium-large baking dish and bake for 30 minutes. Serve with crackers, chips, pretzels, vegetables, etc. Seriously give this one a try at your next party – even if you’re the only guest! Have a great weekend y’all, and happy Father’s Day to my “Duddy” and all of the other Daddies and Daddies-to-be out there!